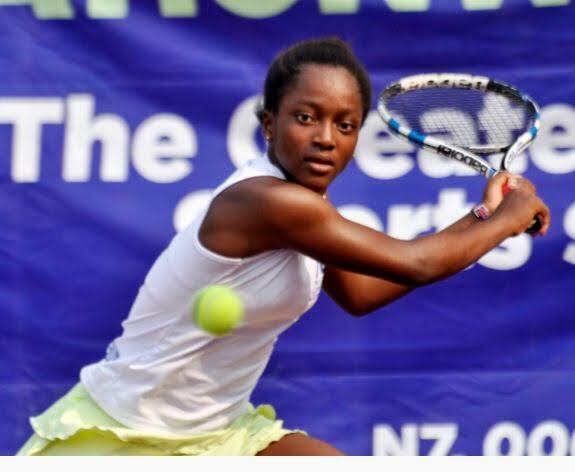 Nigeria’s tennis rising star Oyinlomo Quadre failed to reach the final of the Under-16 African Junior Championship in Hammamet, Tunisia on Friday. The 15-year old lost in straight sets to Yasmine Kabbaj from Morocco ending her impressive run at the tournament. Quadre had not dropped a set in the tournament but fell to a 6-4, 6-4 loss in the semi-final to Kabbaj. Kabbaj who has been in good form this year made Quadre work for every shot. The Moroccan has now beaten Quadre in 4 straight meetings. The Nigerian will now turn her attention to the Grade 3 event in Megrine, Tunisia, which will commence on Tuesday, April 16th at the Tennis Club de Megrine. Quadre will hope to get back to her consistent run when the Grade 3 event in Tunisia begins next week.